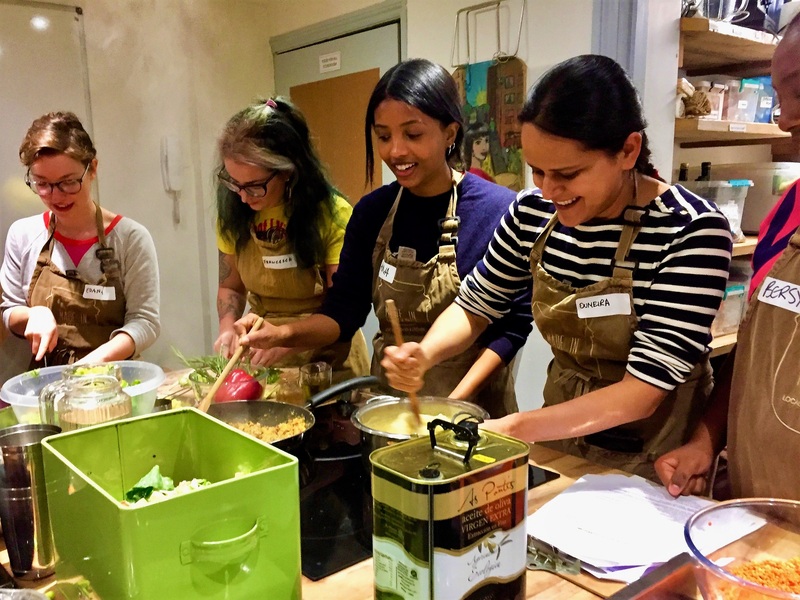 This is the 4th class of a 6 week course - Celebrate London’s multicultural community by learning how to cook a range of international cuisines. From West African to Indian, Turkish to Middle Eastern, Caribbean to Chinese – this is a culinary trip around the world. Committed to improving health and wellbeing and reducing food miles, our teachers adapt recipes and show learners how to get the same authentic taste from local ingredients and healthier cooking techniques. Places are free but booking is required. Call us on 02084424266 or email info@madeinhackney.org to secure your booking as space is limited. Made In Hackney uses cereals containing gluten namely: wheat (spelt and khorasan wheat), rye, barley, oats; peanuts; all other nuts; sesame; all other seeds; soybeans; celery and celeriac; mustard; sulphur dioxide/sulphites; lupin; tomatoes and other allergens in it's classes. Our food is freshly prepared in our busy cookery school kitchen that handles allergens, so we cannot guarantee that our food and drinks are allergen-free. Even in classes where these ingredients are not being used, they will be on site in our store rooms and our equipment will have previously come into contact with them. Participants attend at their own risk.